Ciccio’s California Cuisine, located in Tampa’s SoHo neighborhood (SoHo stands for South of Howard. Howard is one of the main streets in South Tampa) is a great place for lunch or dinner. Ciccio’s has the most amazing grilled wraps that come with dipping sauces. My favorite wrap has been on the menu since they opened (which if memory serves me right, was around 1997) it’s the Southwest wrap with chopped chicken or steak, sweet peppers, onions, mushrooms, yellow rice and jalapeno jack cheese. It goes incredibly well with the creamy horseradish sauce. In addition to the wraps, they offer California bowls (think wrap without the carbs), salads, stir-fry and at dinner time, a full menu of options. Water – connected to Ciccio’s is a sushi restaurant called water. It’s great because you can order off the menu for either California or Water and do take-out! You’ll find Water has a great atmosphere and even better sushi. Bern’s Steak House – Bern’s Steakhouse opened in 1956 and has been a Tampa staple ever since. Bern’s has its own farm where it grows many of the items it serves. Bern’s has a 6,500 label wine collection and has won many awards from Wine Spectator. They also have more than 1,000 after-dinner spirits, wines and cordials. While Bern’s is one of Tampa’s most well known steak houses…what you really need to check out is Bern’s dessert room. It’s amazing. You will love the food at the Steak house, but you should make sure to save room for dessert. 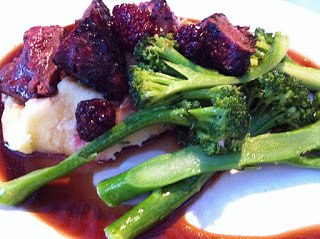 Boca Hyde Park – Recommended by my friend Kevin, a serious foodie, Boca is a great spot for farm-to-table communal dining experiences. Jackson’s Bistro – Located on Harbour Island, just across from the site of the convention, Jackson’s is a great place to sit outside, enjoy the view of the water, and have a great drink, or two. 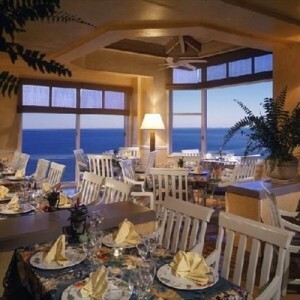 The food is good – but the reason to go is the view and drinks. Bella’s Italian Cafe – Bella’s, in South Tampa, is a great spot for Italian food. The restaurant has great outdoor seating – assuming it’s not pouring rain. Bella’s has been in the same spot on Howard since 1987 when it opened its doors. They have great wood-fired pizzas and traditional fare. I was a huge fan of their chicken picatta and caesar salad. 717 South – another SoHo favorite, 717 serves an eclectic menu of authentic Italian dishes to exotic seafood from the Pacific Rim. I’ve only been to 717 South one time, but it was very good. However, it was another recommendation from my best friend and I’m telling you, she knows her stuff! My mom says they have the best crab cakes in town too! Tarpon Springs is a Greek Community located around 30 minutes outside of Tampa and across Tampa Bay. Tarpon Springs sits on the Gulf of Mexico and offers a very unique experience for visitors. Tarpon has one of the few – if only- working sponge docks in the country. You can have dinner and buy a loofah sponge! How great is that. I went to high school at Tarpon Springs High School and our mascot was the Sponger – yep, the Sponger, big old diving mask and all. Most of the restaurants that were on the docks 20 years ago when I was in high school are still on there today. 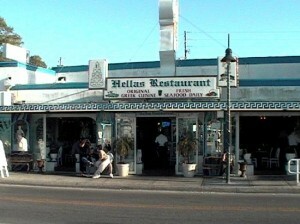 Hella’s Restaurant – Hella’s is my favorite Greek restaurant and I always visit when I’m in town. It’s cheesy and traditional and the perfect place to enjoy traditional food that’s been prepared the same way since they opened in 1970. The Gyro (pronounced ‘year-oh’ not ji-roh or hero, or any other way) is always what I order. It’s what a Gyro should be and will be the standard to which I judge against forever. Stop by the bakery on your way out and take home some great goodies. ABC Seafood – There’s no website for ABC Seafood, so I’ve put a link to a map and contact info. ABC Seafood is the only place my family goes for Chinese & Asian food in Pinellas County. You won’t go wrong at ABC! We recommend the spicy eggplant and honey walnut shrimp. Cafe Ponte – is a trendy spot for contemporary American cuisine with French, Asian, and Italian influences. The mushroom bisque is amazing! In addition to how great the food is, the owner Chef Christopher Ponte is incredibly philanthropic and it makes me happy to support his restaurant. 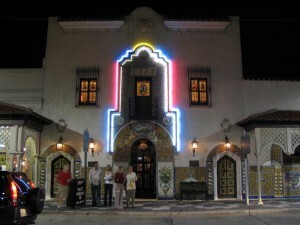 The Columbia – The Columbia is a historic Tampa restaurant and now a landmark. The Columbia is supposedly Florida’s oldest restaurant and was opened in Ybor City in 1905 by Cuban immigrants. Today they’re located all across Florida and have locations in St Petersburg, Tampa’s Riverwalk and the original location in Ybor City. For some traditional Cuban sandwiches and a bit of history, make sure you check out The Columbia. Oystercatchers – which calls the Grand Hyatt Tampa Bay Home is the perfect place to have a drink and watch the sunset over Tampa Bay. Rocky Point is a short 5 minute ride from the Airport and about 10 minutes from downtown, so it’s very easy to get to. Oystercatchers is known for its fresh, wild and line-caught fish. The swordfish, when on the menu, is hard to beat and you’d be remiss if you didn’t try the Sticky Toffee Date Pudding – it’s really worth all the calories. Frenchy’s – Frenchy’s is a classic spot on the beach, open since 1981, to grab some lunch and relax. Frenchy’s is famous for its Grouper Sandwiches but also serves some great gumbos, seafood platters and Florida Stone Crab claws. This is a very fun spot to catch some sun, sand and good food. 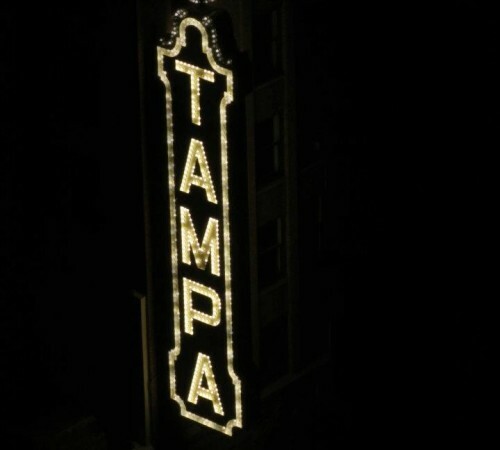 1 Comment on "Tampa For Foodies"